Jesus Christ is risen! Alleluia! On this festival day, we will have one Worship Service at 10am; there will be no 8am Worship Service on Easter Sunday. 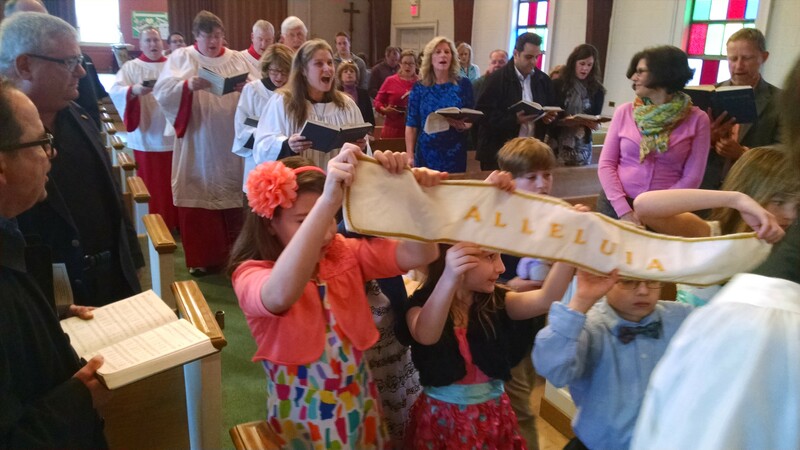 The Alleluia Banner is also dug up (which was buried on Ash Wednesday) at 9:45am; kids should arrive early. After Worship we host a deliciously scrumptious Fellowship Hour and an Easter Egg Hunt for the kids.